When a child shows signs of a speech disorder or inefficiency one of the first steps towards finding out the cause is to carry out a hearing test. These tests help to rule out the possibility that a child’s speech has been affected by some level of hearing loss or disruption. Hearing tests may be carried out in infants and young children, as well as with the GP and via more formal audiometry. “Do It Yourself” hearing tests are also available online and on the phone. Had fluid or another temporary blockage in his or her ears. Was very fussy or upset during the screening. Had to cope with distracting background noise during the screening. Whisper test, in which the GP will sit behind the child and whisper words or numbers. Rinne test, with tuning forks to test air and bone conduction in auditory and external canals. Weber test, during which tuning fork is placed at forehead and hearing in each ear described. 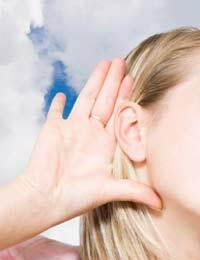 Speech audiometry, in which lists of words are read to or played to individuals. Tympanometry, which measures stiffness of the eardrum and middle ear function. Electrophysiological tests, to help test electrical output of cochlea and a specific cranial nerve. Acoustic reflex testing, which tests the muscle and resulting eardrum movement. In addition to hearing tests carried out by health professionals there are also a few methods of “do it yourself” hearing tests that can be carried out at home. Of course the whisper test can be conducted, as well as observing if children turn when their name is called or surprise, loud noises are made near them. Simple hearing tests can also be taken by telephone from the National Hearing Services (0845 600 5555) and the Royal National Institute for the Deaf (0844 800 3838). The RNID also offers an online hearing test for those able to use speakers with their computers. Getting a hearing test is a necessary step in ruling out hearing loss as a cause of a speech disorder or disruption. Hearing tests are available to infants and young children, with your GP, via formal audiometry and even at home with “do it yourself” methods.